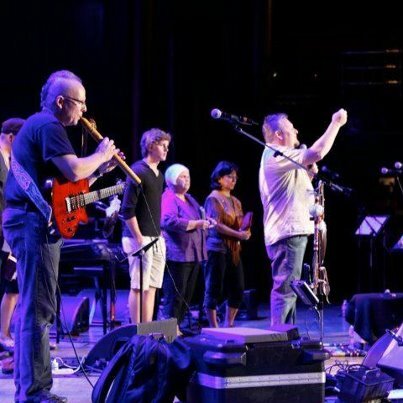 On July 28, 2012, thousands of Believers joined together in Toronto for a time of prayer, worship and fasting for the City of Toronto and the nation of Canada. Jonathan was asked to be a part of both the pre-CRY rally which was held at Canada Christian College the night before with the entire CRY national team; and the CRY Toronto the following day. There were several hundred from across Canada in attendance. The CRY is a movement that started nationally but became international with the CRY Hollywood in March of this year. It is a Kingdom strategy to see the Church fulfill her destiny as The Church in this hour. After a time of leading worship, Jonathan began to play softly on his flute. Several First Nations leaders came onto the stage and began to pray and share their hearts and vision for this land. They then went into a time of listening and seeking God’s heart; and crying out for God to move with His love in a way that would impact the nation and influence the minds of a generation.